The Smart Mobility Connection featured UTC Faculty and Research Professor, Steve Smith. Smith gave us an overview of Surtrac technology that his spin-off company, Rapid Flow Technology, is using to help solve 21st century mobility challenges. Smith is utilizing his research on a wide variety of projects. In addition to improving the flow of traffic, this technology is helping people communicate with buses and enabling populations with disabilities to safely navigate intersections. Watch the full talk here. Today’s Smart Mobility Connection featured Chris Hendrickson, Director of Traffic21. Based upon the National Academy of Science, Engineering and Medicine’s study ‘Renewing the National Commitment to the Interstate Highway System: A Foundation for the Future’ Hendrickson led us through a look back at the impacts and innovations of the Interstate Highway System, including engineering, financing and planning challenges. Read the study here. Watch the seminar here. If you’ve ever traveled through Cranberry Township, you’ve probably had to wait at more than one traffic signal. Cranberry Township’s unique geographical location at the junction of Interstate 79 and the PA Turnpike (PA 376) poses unique challenges in coordinated signal operations. Furthermore, the Township operates a Coordinated Signal System that relies on historically Generated Signal Timings, coupled with real time technology to manage day to day operations on the local network. Any scheduled or unscheduled events on the limited access highways can cause havoc with operations on roads in the business district. Center of the incidents to allow for pro-active adjustments to the operating traffic plan on a real-time basis. At the conclusion of the project, in a real-world demonstration, the system proved to successfully alert the Townships traffic operators of the upcoming traffic gridlock 50 minutes in advance compared to the actual reporting time, which allowed more prompt and effective traffic management. Inspired by Traffic21’s years of successful collaboration with the City of Pittsburgh to become a globally recognized smart city test bed, the goal of the Smart Mobility Challenge is to demonstrate how suburban and rural communities can also benefit from a similar collaboration. This program is supported by Carnegie Mellon University’s Traffic21 Institute and its affiliated US DOT National University Transportation Center, Mobility21. The Smart Mobility Challenge is an opportunity to connect suburban and rural communities to the technologies and resources being developed at Carnegie Mellon University. The first Smart Mobility Challenge was held from 2017 – 2018, and included research done in collaboration with Millvale, McKees Rocks, Bethel Park, Greensburg, Mt. Lebanon, Dormont, Cranberry Township and Lawrence County. Learn more by clicking here. Traffic21 is currently kicking off its Second Smart Mobility Challenge. The goal of this year’s challenge is work with these communities to use data and analytics to solve their municipality’s mobility problems. Representatives of municipalities and public transit operators in southwestern PA are invited to request research assistance through the 2019-2020 Smart Mobility Challenge. Learn more by clicking here. Mobility21 kicked off the Spring ’19 academic year with a Smart Mobility Connection featuring Scott Matthews. Matthews presented “Applications of Connected Vehicle Technologies to Improve Safety, Mobility & Emissions.” The talk highlighted ineffective processes for testing emissions and how we can use technology and data to make the process more affordable and efficient. 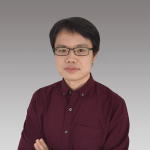 The final Smart Mobility Connection (SMC) of Fall 2018 Spring featured Fei Fang, Assistant Professor in the Institute for Software Research at CMU. Fei described her work with peer-to-peer ridesharing programs, including incentivizing both riders and financial supporters and pricing. 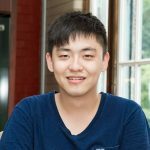 Hae Young Noh presented “Structures as Sensors: Using Vehicle Structures to Indirectly Monitor Humans and Surroundings”. The talk introduced “structures as sensors” for the indirect monitoring of cyber-physical-human systems by sensing and analyzing their noisy physical structural responses. Watch the full talk from the series here. CMU Vulnerability Researcher Dan Klinedinst spoke as the last Smart Mobility Connection speaker of the semester on addressing cyber-security issues in intelligent transportation systems. The CERT researcher discussed how he gets to think like a bad guy to determine whether transportation systems are safe, and how he learned to text his car. Dan Klinedinst will discuss current and emerging cybersecurity issues in connected and autonomous vehicles, and intelligent transportation systems. We will discuss a variety of tools and techniques for analyzing security risks in these systems, from policy-level risks to technical assessment. Bob Koch, who leads Community College of Allegheny County’s Automotive Technology Program, spoke at this months UTC faculty meeting about how to prepare technicians for autonomous technologies. Koch noted that with direction from advisory boards, community colleges will be perfectly positioned to educate entry level intelligent transportation technicians in many different career areas. UTC researcher Venkat Viswanathan talked to students at Heinz College about the safety and security of electric vehicles in his presentation, “Analyzing and Defending Cyberattacks on Electric, Hybrid, and AV Battery Systems.” Venkat’s discussion included the ways hackers could control your self-driving car, cracking Tesla’s wall of silence on the Model 3 battery, and the challenges of electric driving range and battery degradation. Mobility21’s Smart Mobility Connection featured Traffic21’s Chris Hendrickson and UTC researcher Sean Qian, who discussed safety in transportation. Hendrickson discussed the impacts and accomplishments of CMU, and Qian showed the Mobility Data Analytic Center’s Bikeability Score Platform. UTC researchers Bernardo Pires and Christoph Mertz (shown above) spoke about detecting road objects as part of the Smart Mobility Connection seminar series. Both researchers highlighted the rapidity with which computer vision and machine learning is changing, and the vital role that data plays.